Tomatoes always steal the spotlight when talking about gardening. 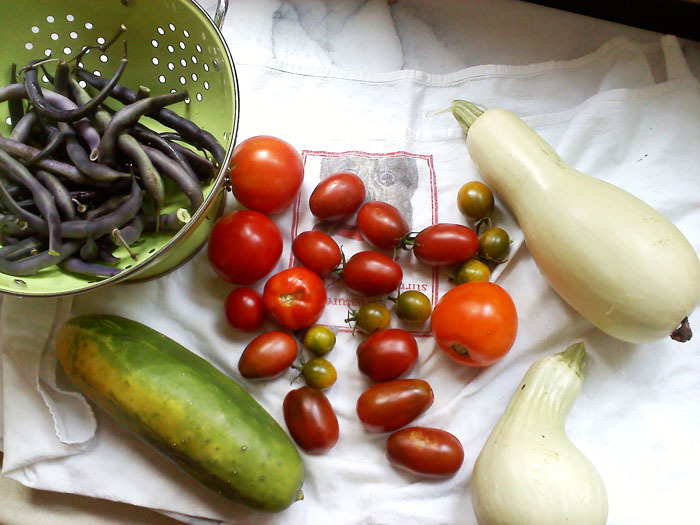 I grew things in my garden this summer besides just tomatoes, tho. Salad greens and arugula do really well here. In fact, I’m still growing them on the front porch! They don’t seem to mind the cold. They do need to be watered as much as in the summer, which surprised me. I tried bok choy during the summer but it grew too fast and flowered and got all ruined. I’m growing it again now and it seems ok so far. Since it’s not hot, it shouldn’t bolt (flower and get ruined). Arugula, mixed greens, bok choy, and basil. 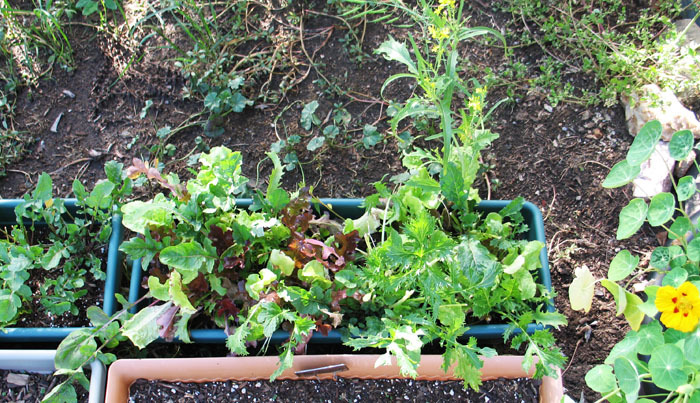 We had salad every day for three months, just from three of these box planters. 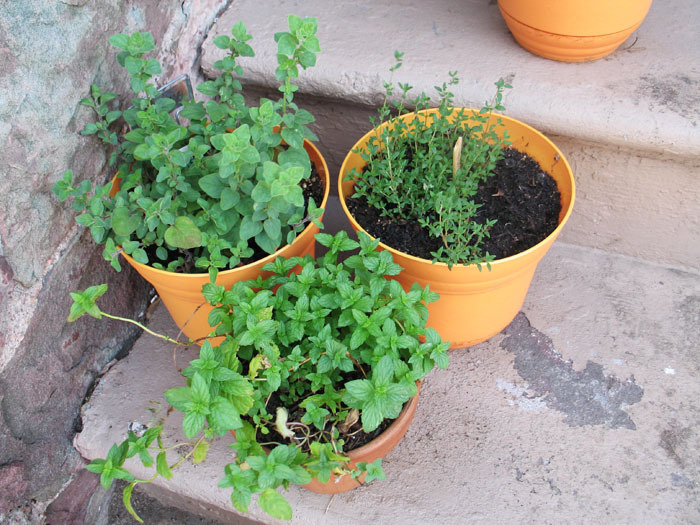 I always grow various herbs in pots outside and bring them in when the weather gets cold. They never do well in the house. This year they seem to be ok, tho. I have them in a very sunny window this time. 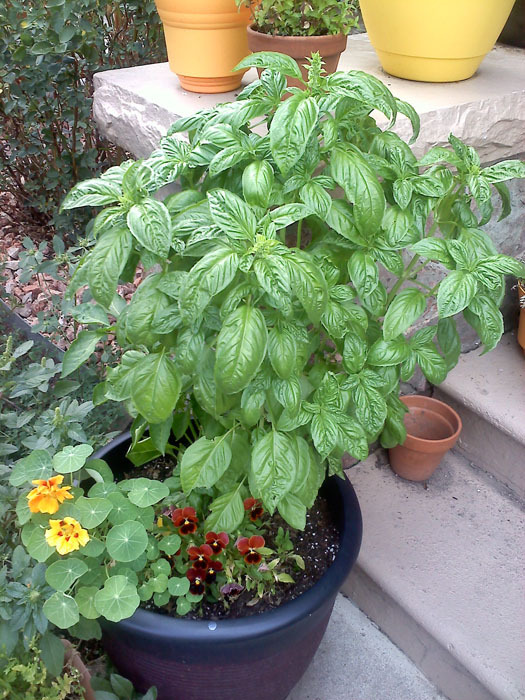 This huge basil plant did well up on the porch as it got colder, but even tho I covered it during the last really cold snap, it didn't make it. 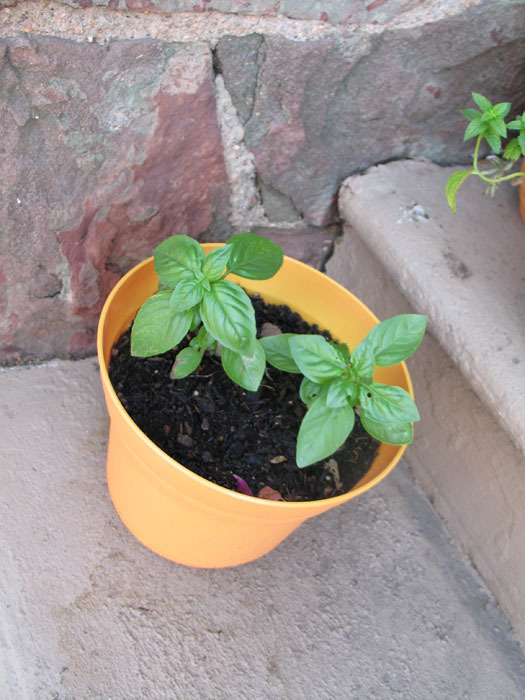 I grew these basil plants from seed which was pretty remarkable. 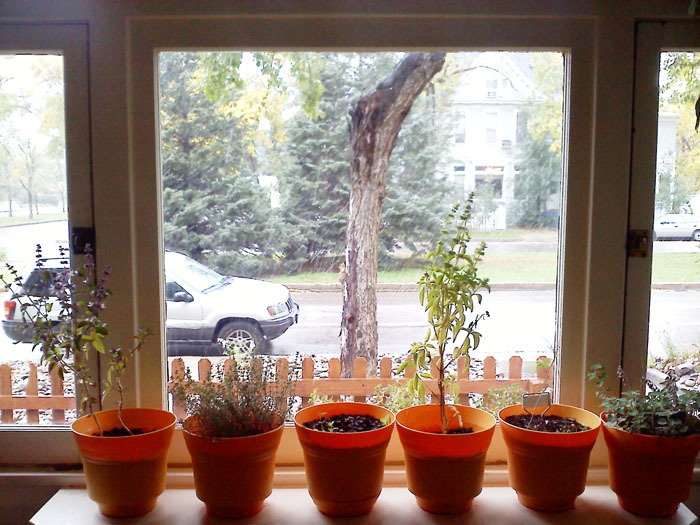 Usually I grow my herbs from plants. They're still alive, in the house, but have gotten very leggy. The sunny window. This was a month or so ago. They're doing better now. I also planted a few other vegetables. I planted two cucumber plants and got 10 or 15 cucumbers. 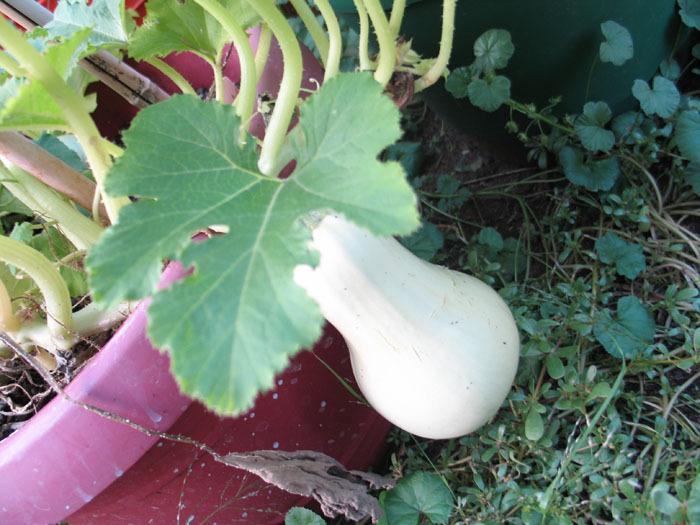 I planted 4 bean plants and only got a couple handfuls of beans, and I planted what I thought was a zucchini plant but turned out to be some freaky squash. 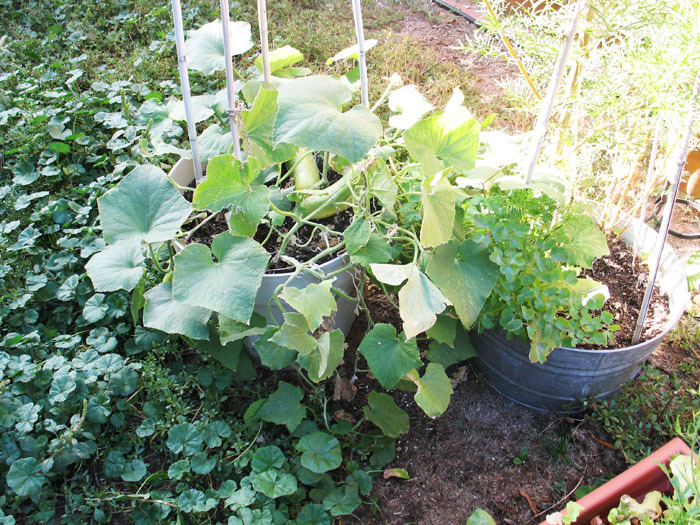 The cucumbers did surprisingly well considering I grew them in pots. 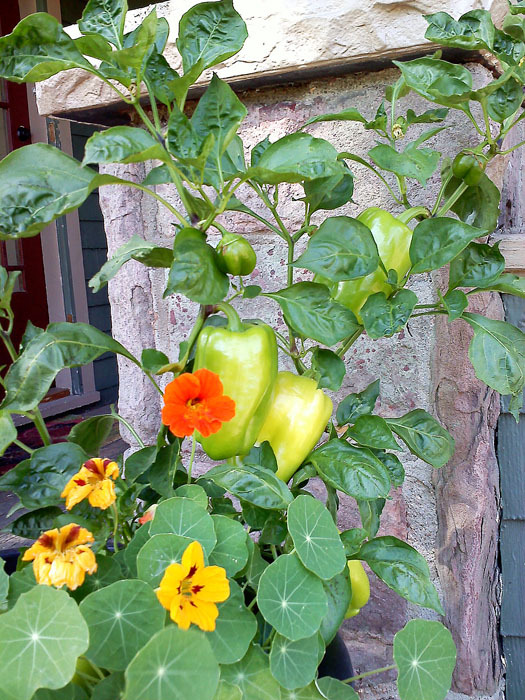 I was also surprised by this pepper plant. I got it as a small plant in June and it’s still got peppers on it. I brought it inside and altho there are some little white bugs on the plant, the peppers aren’t affected- they’re really yummy, too! 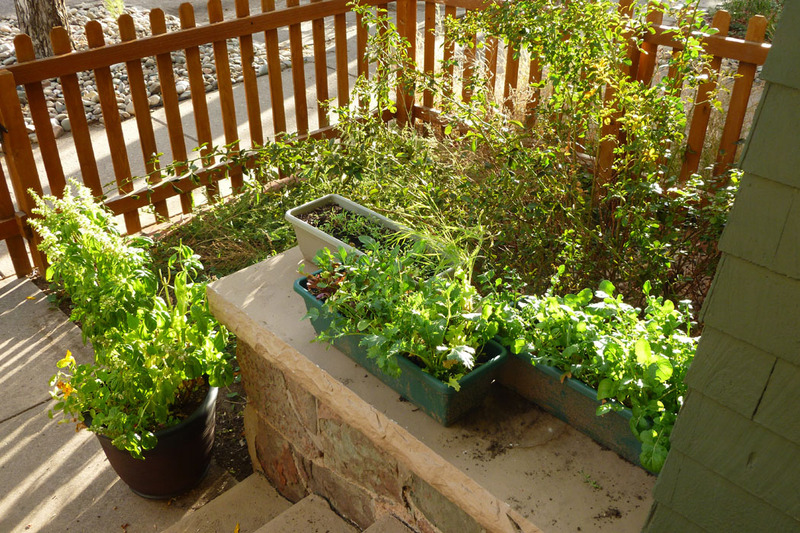 I love to eat salads with lots of different greens and I love bok choy so I;ll grow them again next year. Cucumbers are ok but I was sick of them by the end of the summer. I’ll try to grow actual zucchini next year but probably not too many other veggies. I like to concentrate on the tomatoes and the herbs.